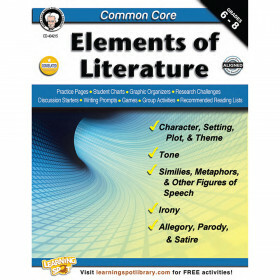 Young readers will be intrigued and eager to analyze this timeless classic by completing fun, challenging activities and lessons provided in this instructional guide for literature. This guide is the perfect tool to aid students in analyzing and comprehending this charming story. Appealing and challenging cross-curricular lessons and activities incorporate research-based literacy skills to help students become thorough readers. 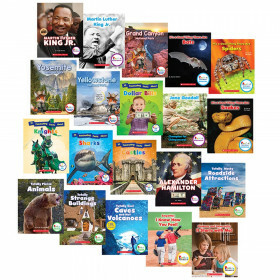 These lessons and activities work in conjunction with the text to teach students how to analyze and comprehend story elements in multiple ways, practice close reading and text-based vocabulary, determine meaning through text-dependent questions, and much more. See all of the Shell Education products we carry in our teacher supplies manufacturer section. Looking for something similar? View our Literature Units or Reading/Language Arts sections to find more educational supplies items similar to Charlottes Web Great Works Instructional Guides For Lit. This item may also be listed in our educational supplies store catalog with item IDs SHL40219,9781480769953.